Director Yim earned a Masters in Film Studies at the University Paris 8 in France. 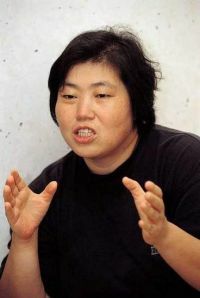 Her short "Promenade in the Rain" (1994), won prizes at Seoul, Clermont Ferrand, and Fribourg film festivals. Yim’s first feature "Three Friends" (1996) won the award for best Asian film at the first Pusan Film Festival, and played at many festivals including Berlin, New Directors/New Films, Vancouver, Seattle, Melbourne and Karlovy Vary. [Just out on DVD] Korean Movie "Little Forest"
[Upcoming DVD Releases] Korean Movies "Little Forest" and "The Accidental Detective 2: In Action"